Asheville Vacation - GreyBeard Realty and Rentals . Beautiful creek on 1080 High Rock Acres vacation home for sale property. 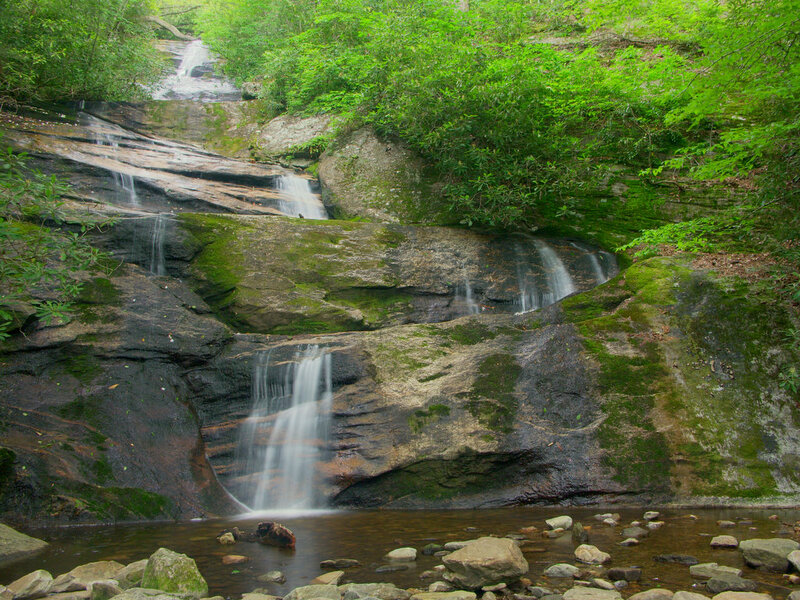 Black Mountain and western North Carolina have long been valued for their retirement appeal, and Greybeard has talked about the value of renting a cabin to try out retirement. Now, as Men's Journal points out, Black Mountain is receiving attention for its outdoor activities and active life. Imagine buying a cabin from Greybeard's listings of vacation homes for sale and taking advantage of some of those outdoor activities yourself from time to time. If you're concerned about the hassle of looking after a rental home in the area, you can leave the property management to Greybeard Rentals. Greybeard's staff has a reputation for paying attention to details and providing superior individualized attention. Our management team has received national recognition for its service quality. If you've ever wondered when you could buy your own vacation home, why not come on up and look around a bit. The time has come. The Tourists are Coming; The Tourists are Coming: Time to Buy An Asheville Vacation Home? Anyone considering buying an Asheville vacation home within Western North Carolina real estate will be interested in the latest figures on tourist spending in Buncombe County. State figures indicate that Buncombe County had the fifth highest amount of tourist spending of North Carolina counties. Tourists to this county that includes Asheville, Black Mountain and Montreat homes spent $783 million in 2011. That figure represents a 7.4 percent increase from 2010 North Carolina tourist spending. Buyers searching the Asheville real estate market for a second home will find many suitable listings, and, with the Asheville real estate market on the uptick, now would be a great time to consider that investment. A second home can be a great weekend/summer getaway spot for you. It can also serve as an Asheville rental home until you are ready to make the move into the home yourself, perhaps after retirement to Asheville. Greybeard Realty has many homes that have served as rental/vacation homes previously. 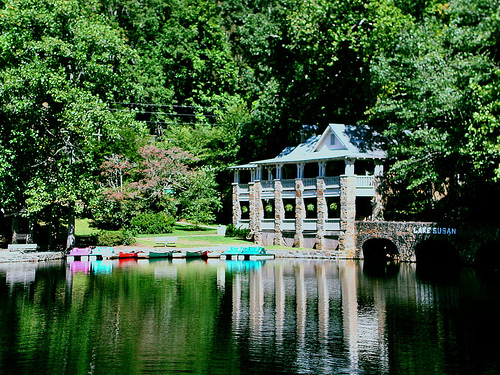 In addition, most homes within Black Mountain and Montreat can serve as vacation homes. Greybeard Rentals offers three suggestions when choosing a home to use as a vacation property. 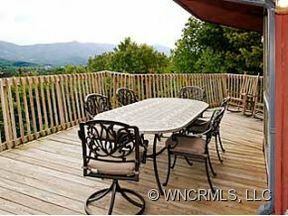 Our most requested Asheville vacation or rental home is a home with a view. Timber frame and log cabins are also a high priority for our renters. Our vacationers often search for homes with hot tubs, which can be added to most homes quite easily. If you are considering buying a second home as a rental property, please check out Greybeard's experienced rental management division. Our award winning management team handles every aspect of your rental including marketing your home through our national marketing network and home inspections after each rental period to ensure the integrity of your home. Contact us for more information on Asheville homes for sale and Greybeard's rental management team. Greybeard Realty of Black Mountain, NC, unveiled a new website this week dedicated specifically to their rental home division. The Asheville area rentals website offers clients more search options, including allowing them to set up a favorite homes grouping so they can do a close comparison to choose the property best suited for their needs. For company founder Chip Craig the new website improves the service his company has striven to provide since its inception in 1999. "We pride ourselves on being responsive to our clients, and we think this new website will give them more options and more information, which will make it even easier to choose the right rental home." Greybeard Realty's rental staff manages more than 150 vacation rental homes in Asheville and surrounding towns, and more than 100 long-term rentals in the Asheville area. Amenity categories include pet-friendly homes, secluded homes, romantic homes, and homes with hot tubs. Craig notes that his company just reached a milestone when they surpassed the 20,500th reservation in their rental division. A survey conducted of Greybeard's rental guests last year indicated that 99% of them would recommend the company to their friends and family. With the launching of the new website and the positive feedback from past renters, Craig predicts that the number of rental reservations will continue its steady increase. Greybeard Realty is a full-service real estate company with 11 brokers and 6 guest service employees. For more information on Greybeard Realty contact Chip Craig at 828-669-1072. If you are looking for an international cultural event within a short distance from your Asheville cabin, consider taking in the 26th annual Folkmoot USA International Festival taking place in various Western North Carolina counties from July 22nd to August 1. One of only two international folk festivals in the US, Folkmoot USA, centered in Waynesville, NC, features more than 300 traditional dancers and musicians from 10 to 12 countries each year. This year's festival has 21 ticketed performances as well as 34 private and charitable performances, some held as close as Asheville. Of course, the first step is choosing the right Asheville cabin. Greybeard Realty can help you make the right decision. Choosing the right festival event is up to you. President Obama (POTUS) and first lady Michelle Obama, completed an Asheville vacation weekend that featured a Blue Ridge Mountain hike and golfing, as well as sampling various local restaurants and visiting with Reverend Billy Graham. Their vacation included lots of scheduling and logistics to ensure that everything went smoothly. 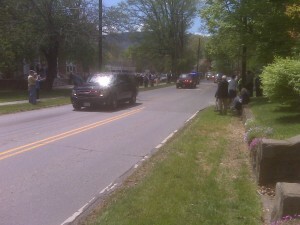 Do you think the Obamas planned their own recreational activities during their weekend in Asheville? 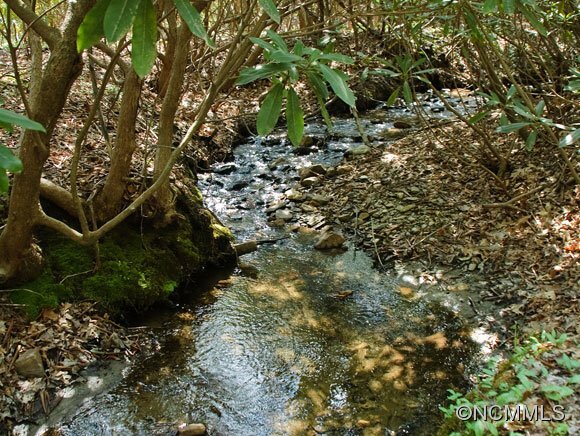 Did they choose the best site for their Blue Ridge Parkway hike? Did they make the calls to the restaurants for reservations? Was the President on the phone checking for the best tee times? You can be sure that they had someone take care of that for them. Now, from your Asheville rental cabin you can enjoy the same level of planning on your behalf. When you rent your Asheville cabin from Greybeard Realty, you can also utilize the guest services division and have them plan and organize your entire vacation, just like the Obamas did. Think of it as having a vacation's worth of Presidential treatment. Greybeard has packages that include golfing at multiple golf courses, including the course Obama played during his Asheville vacation. 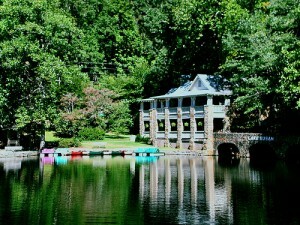 We can also arrange for your romantic getaway weekend or an Asheville outdoor adventure package. If you would prefer several activities, consider taking advantage of one of our a la carte services like a spa day or a horseback riding adventure. The President had most every move during his vacation photographed by the local press. While we can't arrange that type of coverage for you, we can schedule a photography session with a very talented local photographer to record your vacation memories. The first step in the process is to choose the best Asheville area rental cabin to meet your particular needs. If you need help with that, we can offer suggestions including best views, dog friendly or most secluded. Once you have settled on your rental, let us handle the rest of the planning, to make your next Asheville vacation comparable to a Presidential retreat. 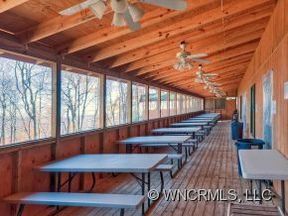 For people choosing an Asheville cabin to get away from it all we have added a new rental to our listings, one that offers the desired ambiance and the basic amenities. This Montreat home really recalls the simpler days and offers renters a chance to escape from the hubbub of today's technology. Absent are the wi-fi and the big screen TV. Available is the peace and serenity that comes with simple mountain living.